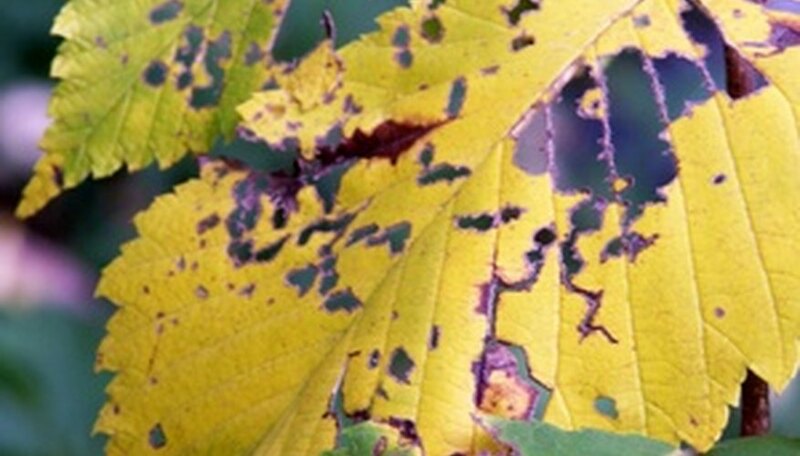 Elm trees are susceptible to a few common insects. Aphids are among these insects. Aphids can be brown, black, red and even yellow. They are tiny and have pear-shaped bodies. Aphids have piercing-sucking mouth parts and can drain all the nutrients out of the leaves of your elm tree. Aphids reproduce quickly so it is very important to learn how to protect your elm tree from ever becoming infested with this pest. Bring ladybugs onto your property. If you cannot catch any of your own, you can purchase them from various garden centers. Ladybugs are natural predators to the aphid and will take care of any aphids that make their way to your elm tree. This can stop an infestation from ever occurring. Hang a strip of parasitic wasps from your elm tree. This is another predator to the aphid that will prevent your elm tree from ever getting an infestation. When you go to purchase parasitic wasps, you may find them called trichogramma. Hose down your elm tree leaves once every couple of days. Make sure you aim underneath of the leaves. This is where aphids often cluster together. The water will knock any aphids that may be on your elm tree off. Fill a garden sprayer with 2 gallons of water and add 3 tbsp. dish detergent. This creates an all natural insecticide. Spray this insecticide all over the leaves of your elm tree. Repeat once every two weeks to keep aphids away. Keeping an eye on your elm tree will help you quickly catch any aphids that show up. Once every couple of days flip the leaves over and examine them for aphids.